A few years ago parents of the PTA at our neighborhood elementary school started talking about adding some landscaping to the school grounds. The principal liked the idea of a pollinator garden in front of the school. There was also an abandoned courtyard garden that had been started with a grant by a teacher who was no longer at the school. We wondered if that could be revived. The project began with just a few parents weeding over a period of time. Then, last spring, we created two garden beds out of the mound of grass and weeds surrounding the flagpoles in front of the school. We communicated with the school building manager about our plans. His schedule didn’t allow him to do more than mow the grass, so he was thrilled to have the extra help. We met with the principal, talked about the placement, and got approval to put up cedar edging to hold the earth and mulch. I weeded the existing raised beds in the courtyard and collaborated with a teacher about planting some lettuce and kale with her classes. We uncovered strawberries that we replanted with new compost. With the extra care, the strawberries produced a bumper crop! 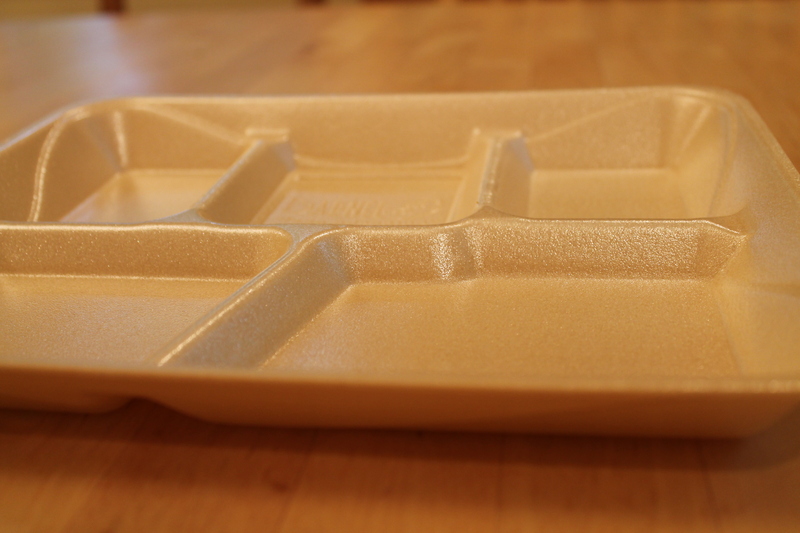 I started taking a small bucket and gloves to school every day and weeding during drop-off and pick-up for 10 minutes. This generated conversation, awareness, and new volunteers among the other parents. We asked for parents to bring in flowering perennials from their gardens to plant in the new bed. Some dads brought mulch in their trucks. We visited a few other schools that had gardens to learn about what they were doing. 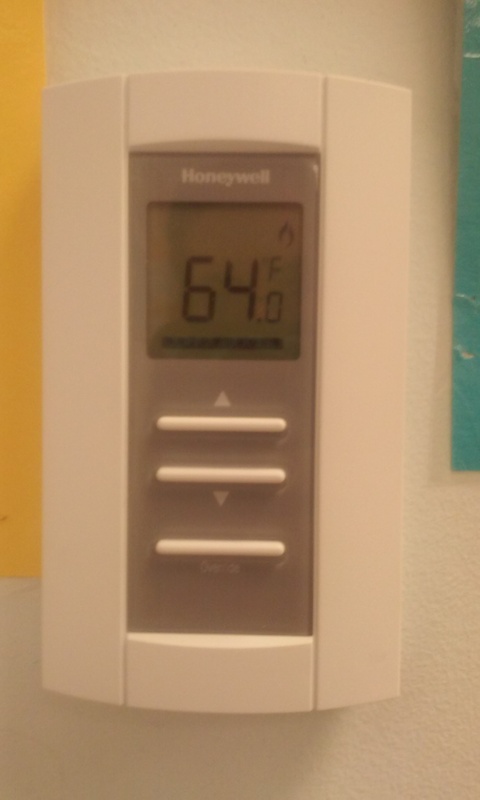 On Friday May 15th,  my classroom was 64 degrees F. On Tuesday May 19th, my classroom was 81 degrees F. Despite continual emails to the school administration asking about the cooling system’s condition, there was no response. The next day, on May 20th, I took my class outside, to the front courtyard, because my room was just as hot and humid as the day before. Ironically, another teacher from down the hall took her students outside to the rear courtyard because her classroom was so cold. Another teacher brought in gloves, a scarf, and hat because she said her classroom temperature dropped below 60 degrees F.
So, how hot or cold are classrooms supposed to be? How about bathrooms, health rooms, and hallways? The Building Services Department has answers on its website. 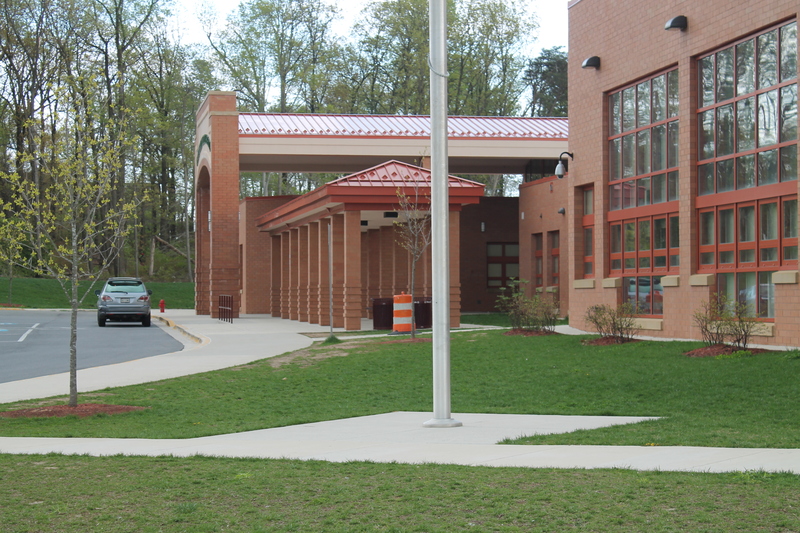 The “PGPCPS Seasonal Temperature Standards” are designated as Energy Conservation/ Bulletins S-46-96 and S-90-93, regulating thermostat settings for facilities in the school system. Beginning in grade four, elementary school students may learn to play a string, woodwind, or brass instrument in twice-weekly classes. Instrumental music is also offered to middle and high schoolers. Here is a lovely YouTube video of the PGCPS Honor Band and Middle School Honor Chorus. The list of career academies offered in PGCPS high schools was recently expanded in the 2014-2015 school year. It’s an impressive list! PGCPS also offers Creative and Performing Arts and STEM magnet programs. Students may enroll at any public college or university in Maryland while still enrolled in high school and have their tuition paid for by PGCPS. Read more here.